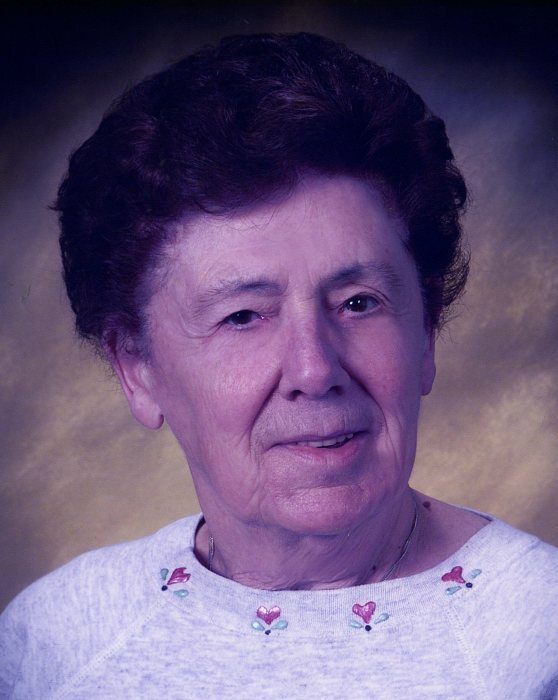 Kate (Lerch) Milles, 92, of Natrona Heights, passed away Saturday, November 17, 2018 at her home. She was born September 19, 1926, in Alsfeld, Hessen, Germany to the late Heinrich and Minna Reinhardt Lerch. Kate was a resident of Natrona Heights since 1989. She retired as a machine operator from Johnson and Johnson in Wilmington, Illinois. Kate was a member of Grace United Methodist Church in Natrona Heights. She was a volunteer at Allegheny Valley Hospital since 1989 working in the gift shop. Kate received several awards for her volunteer work and had a record of 54,803 volunteer hours. She enjoyed shopping, traveling, dining out and spending time with her great nieces and nephew. Kate is survived by her niece Susan L.Ruediger Parker, of Natrona Heights; nephews, Melvin B. Ruediger, of Natrona Heights and Ronald L. (Susan) Ruediger, of Sandy Lake; great nieces and nephew, Alexandra and Marlis Ruediger and Rolf Ruediger. In addition to her parents, Kate was preceded in death by her husband, Alexander Milles; and by her sisters, Hedi Schoenhals and Friedel M. Ruediger. Friends will be received on Saturday from 10 am until the time of a memorial service at 11 am in Grace United Methodist Church, Natrona Heights. Officiating will be her pastor the Rev. Dr. Andrew Spore. Entombment will be private. In lieu of flowers, contributions in memory of Kate may be made to Grace United Methodist Church, 1333 Freeport Road, Natrona Heights, Pa. 15065. Arrangements are under the care of the Cicholski-Zidek Funeral Home, Inc., Natrona Heights 724-224-8688. To send an online condolence please visit www.cicholski-zidekfh.com.